Canvas prints give your images a professional look and finish. Canvas prints give your images a professional look and finish. 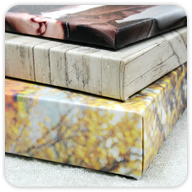 Gallery wraps have printed edges, stand off the wall and are ready to hang without a frame. You can save time and money by decorating your walls with gallery wraps and skip the expensive framing. 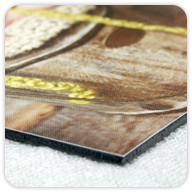 We also offer mounted canvas that can be hung with an optional French cleat or framed. Metallic canvas takes your wall art to the next level. Metallic canvas puts a modern spin on traditional canvas prints. Your images will really shine and colors are vibrant and pop on this new canvas. *Does not qualify for free shipping. See shipping rates here. 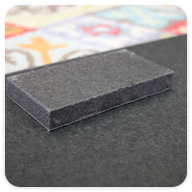 If you are adding your own wrap area, you will need to add 1" around the entire image for a 3/4" wrap, 2" for a 1.5" wrap and 3" for a 2.5" wrap. Click on the 'order now' button and then select the 'Canvas Wraps' tab after uploading your images. 1.5" wraps are standard, if you want a different size wrap or mounted canvas, please note this in the comments during checkout and use the 'bill card on file' payment option. We will contact you for a credit card if we don't already have one on file.